GEOCONSULT ltd was found in 1992, is based in Sofia, Bulgaria. 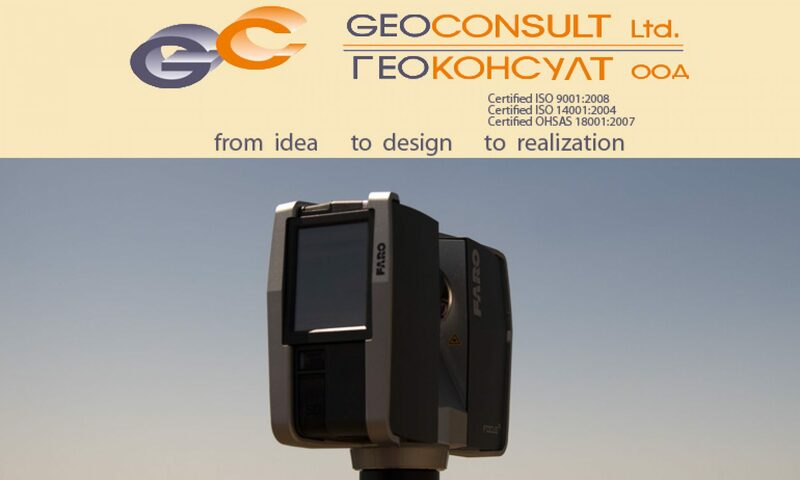 We are one of the top private owned land surveying, photogrammetry, laser scanning and design companies in Bulgaria and among the leading experts in our field. Our company is fully certified (Certificate no. 512, based on ordinance 574/11.07.2001) by the Bulgarian Cadastre agency to performactivities related with cadastre and geodesy. GEOCONSULT ltd is also ISO9001:2008 certified, no. : BG11402Q by UKAS and ANAB. The company is authorized for working with “Confidential” information by the Bulgarian authorities.